All American Futurity: The World's Richest Quarter Horse Race — DiscoverRUIDOSO.com | Plan your Ruidoso getaway here! Ruidoso Downs Racetrack presents the world's richest Quarter Horse race with $3 million dollar purse! 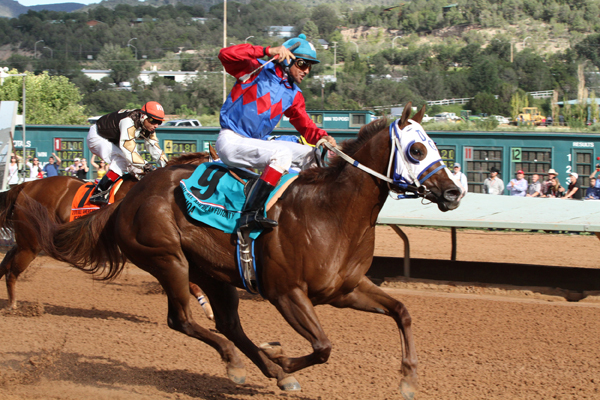 The All American Futurity, with a $3 million purse, is the Quarter Horse race that every owner, breeder, trainer and jockey wants to win is Ruidoso Downs’ signature event. Run over 440 yards every Labor Day, the All American Futurity gained its lofty status through unique financial cooperation between the track and horsemen. Ruidoso Downs contributes “added money” to start the race’s purse, and then horse owners make payments to keep their young horses eligible. Many of these payments are made before the horse ever starts in a race. This system made the All American Futurity the world’s first $1-million race for any breed of horse and enabled the All American to become the first $2-million race in Quarter Horse racing. Now the All American Futurity has a purse of $3 million and is the richest race for a two-year-old of any breed in North America.